For beautiful skin - smooth, clear, luminous and glowing with health - discover the Guinot Sources de Beauté, an extensive range of products designed to care for and improve different skin types. Based on the latest research and medical breakthroughs, these sources are formulated with pure active ingredients and plant extracts that help keep skin healthy and reduce the appearance of ageing lines and wrinkles. At The Signature Spa we offer expert beauty ‘confidantes’, fully trained therapists who give personal care and attend to you to meet your individual skincare requirements. 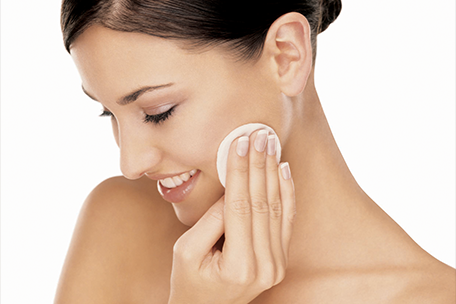 Each Guinot facial treatment includes a complimentary Guinot for Life skincare consultation. Please allow 15 minutes prior to the treatment for this. All treatments are 50 minutes unless otherwise stated. The pinnacle of anti-ageing treatments, Age Summum, uses pure Vitamin C, Hyaluronic Acid and Pro-Collagen to target the signs of ageing. Active ingredients are penetrated into the skin using the exclusive Age Summum anti-ageing facial massage. This treatment uses a double peeling mask to remove dead skin cells, encouraging new cells to shine through. After just one treatment the a radiant complexion will be restored, while a course of three will reduce pigmentation marks on the skin and eliminate any dead skin cells allowing the skin to breathe again. The cellular renewal is accelerated, revealing a more youthful and radiant complexion.